What is KNIGHTS OF RIZAL? 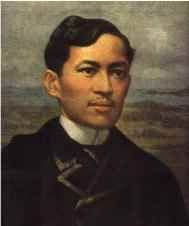 This site is a tribute to Dr. Jose Rizal, the National hero of the Philippines. Dr. Jose Rizal inspired the Philippine Revolution and was executed by firing squad on 30 December 1896 at the age of thirty-five, for his works that led his country to Independence from Spain on June 12 1898. The Order of the Knights of Rizal was establised on 30 December 1911 and was granted a legislative charter as a civic and patriotic organization on 14 June 1951 by Republic Act 646. The Modena Chapter (founded March 31, 2012), the first chapter of the Order of the Knights of Rizal in Italy. Installation of Modena Chapter made possible through the effort of Sir Emerson Malapitan, KCR (The First Chapter Commander in Italy) and Sir Jessie Umali, KCR who was then the Area Commander for France with the support of the Regional Commander then, Sir Tony Guansing, KGOR and Europe Adviser Sir Lino Paras, KGCR. Rome Chapter is the Second Chapter established in Italy (in the City of Rome), founded August 10, 2013. H.E. Ambassador Virgilio Reyes, KCR and Vice Consul Jarie Osias, KCR are among the founding members and Advisers of Rome Chapter, dubbed as member of the Order on the Celebration of Rizal's Birth Anniversary, June 19, 2013. Sir Romulo Salvador, KCR is the current Chapter Commander of Rome Chapter. Members of Rome Chapter are Filipino Community leaders in Rome, GMA 7 Correspondent, TFC Correspondent, and Presidents of various organizations. Chartering of Rome Chapter was made possible through the effort of Sir Emerson Malapitan, KCR, Sir Jessie Umali, KCR, Sir Jarie Osias, KCR and Sir Ferdie Villones, KR who is working out since 2007 for establishing the Rome Chapter. Cagliari Chapter is the 3rd Chapter of the Order of the Knights of Rizal in Italy, founded August 11, 2013 at the City of Cagliari in Sardegna. The Chartering of Cagliari Chapter made possible through the effort of Sir Francisco Hernandez, KOR who is now the Deputy Chapter Commander of Cagliari Chapter with the coordination to Sir Emerson Malapitan, KCR and Sir Jessie Umali, KCR and to the Regional Commander Sir Rudy Nollas, KGOR. Sir Henry Amboy, KCR is the current Chapter Commander of Cagliari Chapter Italy. November 16, 2013, two more chapters will be chartered and will be added to the Order of the Knights of Rizal Area of Italy, the Firenze Chapter and the Frosinone Chapter.